The Rockhampton Musical Union Junior Choir was originally formed in 1951 as The Rockhampton Teenage Choral Society with conductor Mr A R Ethell. In 1954 Marjorie Nugent took over as conductor and the choir was renamed the Rockhampton Musial Union Intermediate Choir in 1956 and the Rockhampton Musical Union Junior Choir in 1962. They continued with notable successes especially at State Eisteddfod for 23 years. Marj was awarded a life membership in 1984. Yvonne Raynor followed as the next conductress and continued until 1982. In 1968, Nita Whyte, the choir accompanist since 1967, was appointed as conductress and the choir has flourished under her leadership. Membership has fluctuated throughout with the trips to State Eisteddfod a highlight. 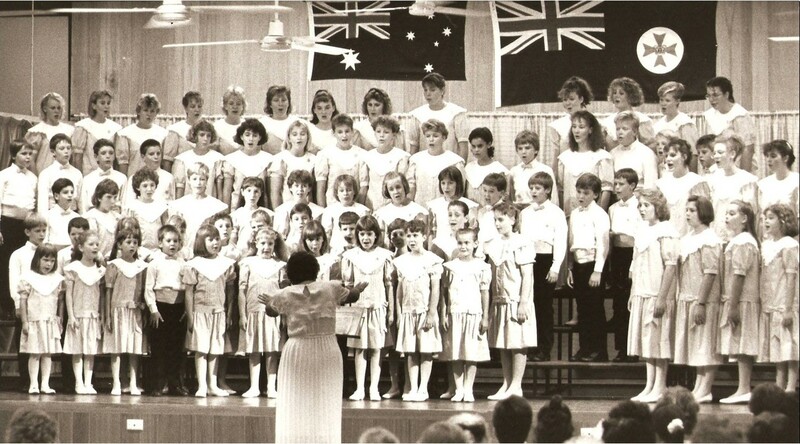 The years have seen many changes for the Junior Choir, notably a name change in 1995 to The Rockhampton Musical Union Youth Choir. In 1994, the choir embarked on the presentation of their first musical production, Alice, in the Pilbeam Theatre and have continued with many successful shows including Cinderella, Aladdin and The Adventures of Mr Toad. Public appearances have been many and varied including performances with Karen Knowles, The Brisbane Boys Choir, The Australian Girls Choir, Capricornia Silver Band, Queensland Opera, the World Beef Forum Opening and Carols By Candlelight. Under the very capable direction of Nita Whyte as Conductor, Queensland Eisteddfod accolades continued to grow with successes at both Junior and Intermediate level a constant highlight. In 2009, with Nita's resignation, the conductor's baton was taken up jointly by Daena Scheuber and Joy Philippi. As always, strong parent committees continue to work tirelessly to support the choir. The RMU Youth Choir is always looking for new members. Young people between the ages of 8 and 18 who love music of any kind are warmly welcomed. 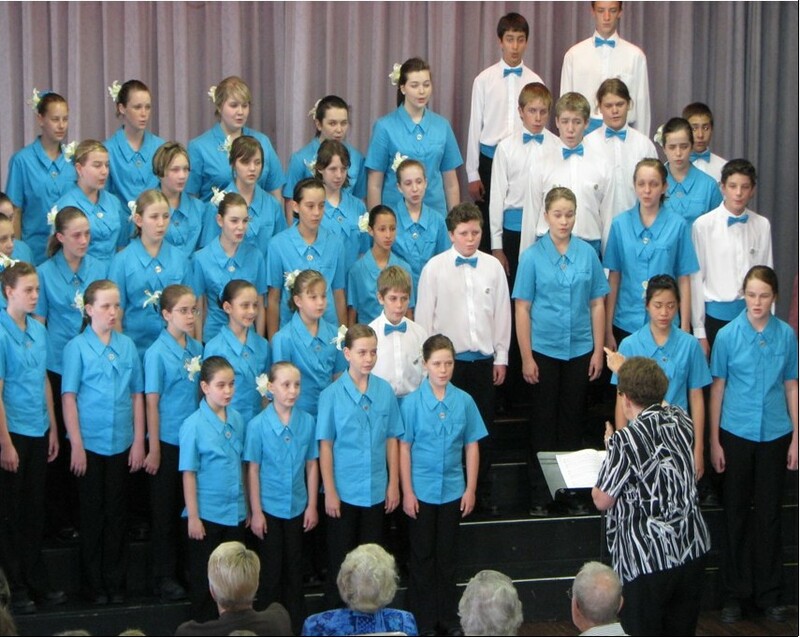 For information about joining the Youth Choir, contact Sonya Acutt on (07) 4926 3722. RMU Youth Choir in 2008 with Conductor, Nita Whyte.